"I'm on my way to the office. 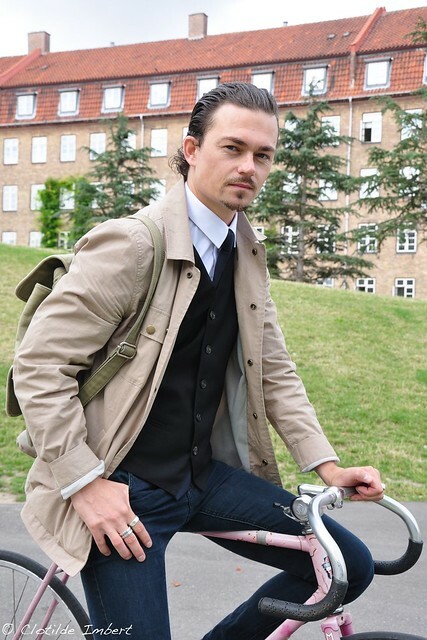 I work for a suit company called "Lasse". I fell good when I'm riding my bike. It's quite easy to ride: single speed, back break, limited maintenance. "You always have to wear nice clothes due to work. Do you think that cycling is compatible with it?" "Not always. I have a winter bike as well, for the rainy days, with a mudguard." "Do you have a good memory related to your bike?" "Yes of course, especially in Copenhagen. It happens with my old SCO bike (a Danish brand), known to be the world champion bike from 76 and quite rare in Copenhagen. I came across a guy on the same bike, the frame was almost the same. We looked at each other bike and said "hello". 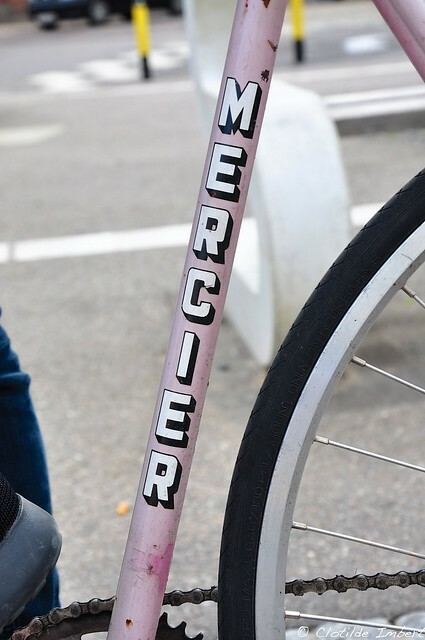 Mercier single-speed bike - French brand.